So it's Autumn at last, and I have to say, one of my favourite seasons. I'm a great lover of all things Autumn / Winter, think hot chocolate, big knit jumpers, ankle boots and fluffy socks. Since yesterday was the dawn of Autumn with the Equinox, I though I would share with you some of my essentials from Jack Wills, which I like to get out over the colder months. Bobble and pompom hats go without saying over the A / W and although you may think it's not quite chilly enough just yet, once October hits, you'll be changing your mind in a flash, trust me. Whether you're heading back to university or work, you've got to keep warm and why can't that also mean looking super preppy-chic simultaneously?! Wool hat in navy and cream fairisle design pattern. Shop the current range of JW hats and accessories here. I love this nail polish selection as they just emanate party season in my opinion. From 'Deep Red', to 'Gold Glitter', 'Multi Glitter', 'Purple' and 'Bronze', your finger nails will be as glitzy as the giant Christmas tree in Trafalgar Square on a December evening. 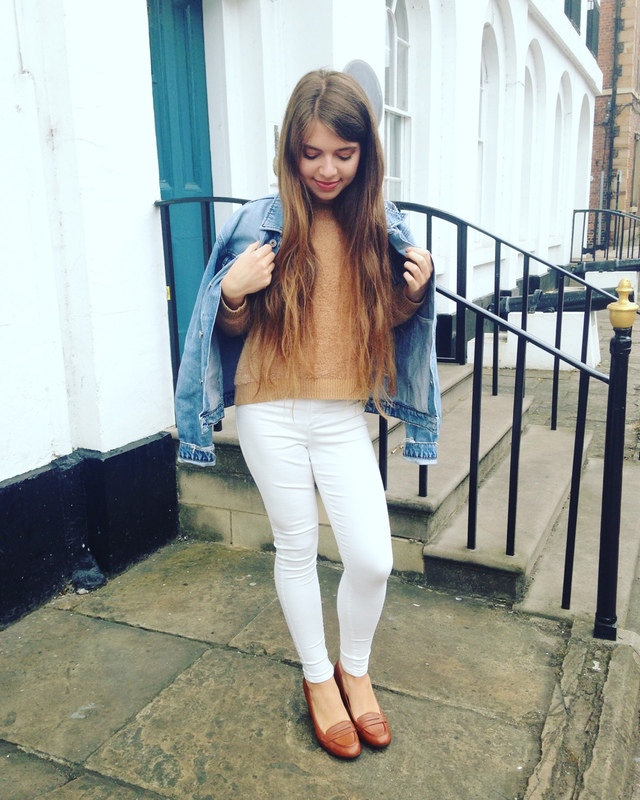 So last year, whilst I was working at Jack Wills over the winter months, I got some rather gorgeous pieces and honestly, I wore them all the time because they are just so perfect for the Autumn / Winter. I have a lovely embellished fairisle grey and cream jumper which I want to show you on here because it is just the best Winter and Christmas jumper combined that I have ever had. It's made even more glam with lots of silver sequins across the neckline and on the cuffs for added twinkle. It was also available in cream and a fairy tale baby pink which was so so pretty! I can't wait to see which pieces come out this year. One thing's for sure, I know that they'll be stunning. I loved wearing the velvet jeans and Marino wool jumper whilst I was at university too. I went to Durham and it's a really old fashioned, cobbled streets, old buildings, quaint cafes kinda place, so the classic preppy look was essentially the most in keeping and aesthetically complimentary style. That is a fashion code that people just kind of pick up in their first year and it sticks for the duration of their time there! What pieces do you have stashed away in your wardrobe which you'll be whipping out for this season? Let me know in the comments and be sure to leave me your links.